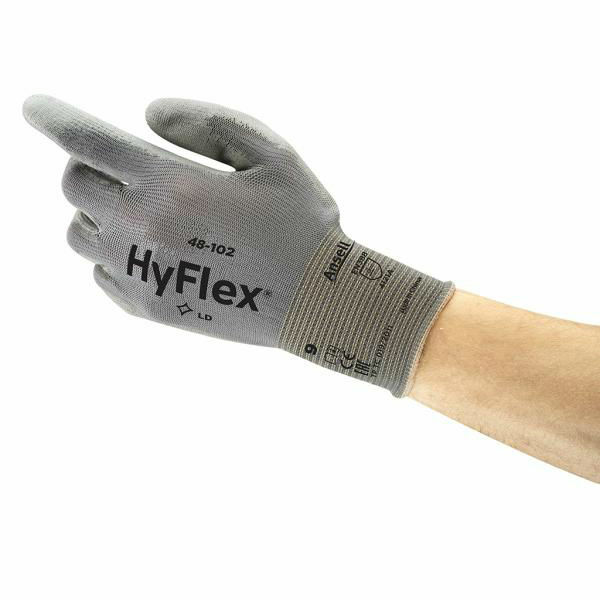 With a seamless design, the Ansell HyFlex 48-102 Palm-Coated Seamless Work Gloves provide long-lasting comfort and high flexibility, making them ideal for fast applications. Their dexterous and stretchy polyamide liner provides outstanding mechanical protection, ensuring to enhance glove life, grip and hand safety. The Ansell 48-102 Seamless Palm-Coated Work Gloves are available in six sizes that should suit the hands of most users. Please measure the circumference of your hand around the knuckles (excluding the thumb) with your hand open and your fingers together, and the length of your hand from the tip of your middle finger to your wrist.